SEB has appointed Javiera Ragnartz new CEO of fund management company SEB Investment Management AB and Head of Division Investment Management. She most recently worked as head of asset management at pension company AMF. Prior to this, she held positions at Riksbanken and headed the fund management company at Handelsbanken. She has also held various management positions at SEB. "Javiera Ragnartz has broad and deep asset management competence and I am happy to greet her welcome back to SEB. She has solid industry and leadership experience, and has worked with both strategic and operational issues in large organisations. Her task is to strengthen SEB's fund management offering and continue to develop sustainable investment products," says SEB's President and CEO Johan Torgeby. SEB Investment Management AB develops and manages a wide range of investment funds for corporate, institutional and private clients. SEB's total assets under management were 1,699 billion kronor on 31 December 2018. 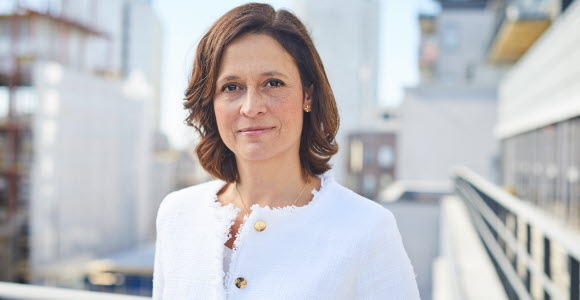 Javiera Ragnartz will assume her position at SEB during the summer of 2019 and will in her role as CEO of the fund company report to the Board of SEB Investment Management AB and in her role as divisional head report to Johan Torgeby. SEB is a leading Nordic financial services group with a strong belief that entrepreneurial minds and innovative companies are key in creating a better world. SEB takes a long-term perspective and supports its customers in good times and bad. In Sweden and the Baltic countries, SEB offers financial advice and a wide range of financial services. In Denmark, Finland, Norway, Germany and UK the bank's operations have a strong focus on corporate and investment banking based on a full-service offering to corporate and institutional clients. The international nature of SEB's business is reflected in its presence in some 20 countries worldwide. At 31 December 2018, the Group's total assets amounted to SEK 2,568bn while its assets under management totalled SEK 1,699bn. The Group has around 15,000 employees. Read more about SEB at http://www.sebgroup.com.